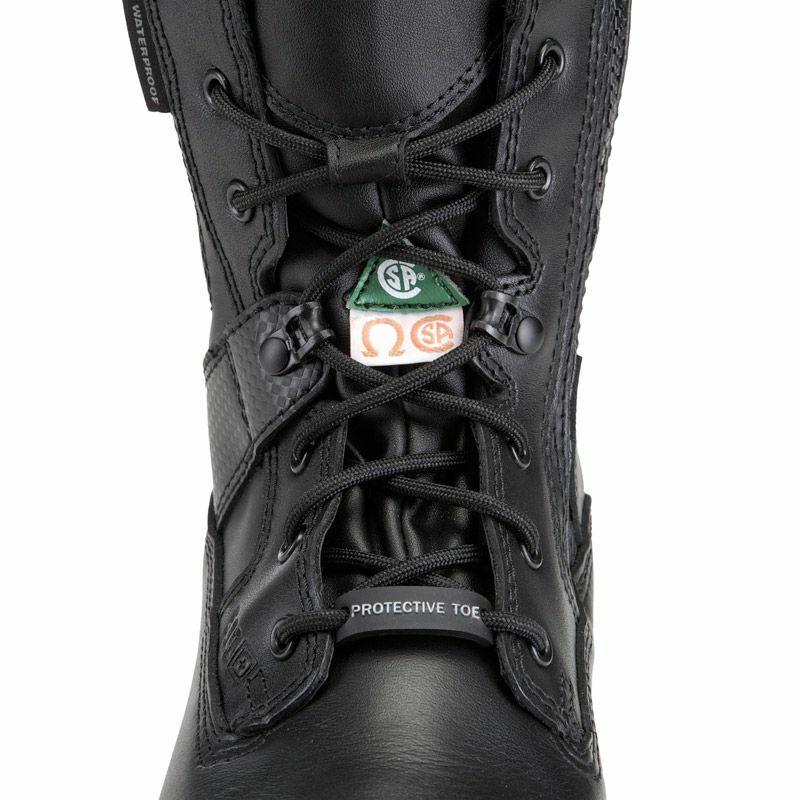 Maximum protection: Looking for the most comfortable safety toe footwear? This is it, the A.T.A.C. Shield is built on 5.11's proven non-slip and compression molded EVA foodbed platform. The 8'' version is CSA certified and also features a hidden pocket. Imported. 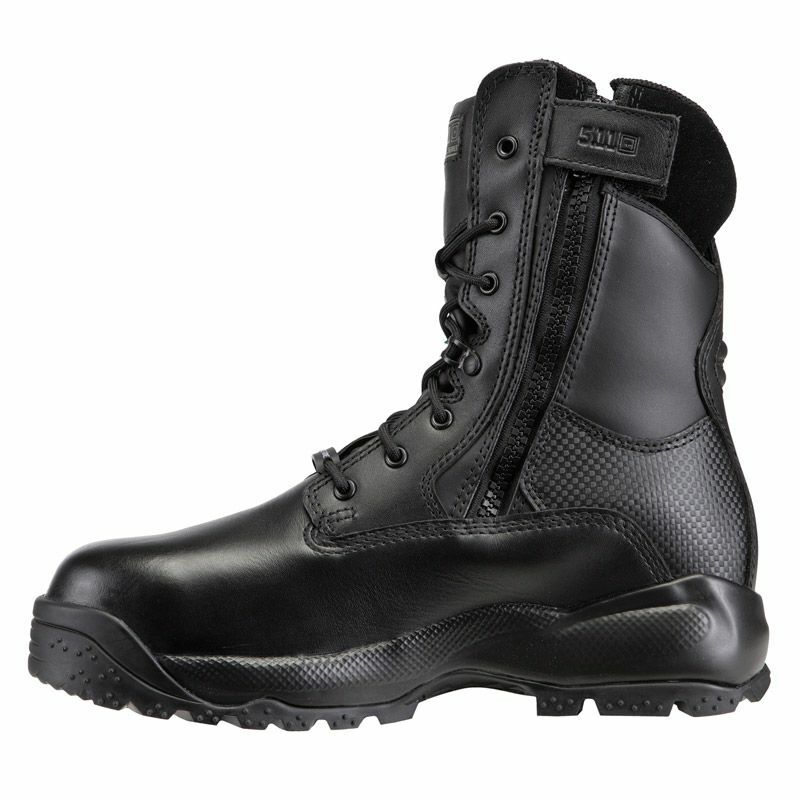 Built on the same tried and true platform as our traditional ATAC series, the 8'' ATAC Shield CSA/ATSM Boot offers unbeatable puncture, moisture, and toe protection for superior safety in the harshest environments. 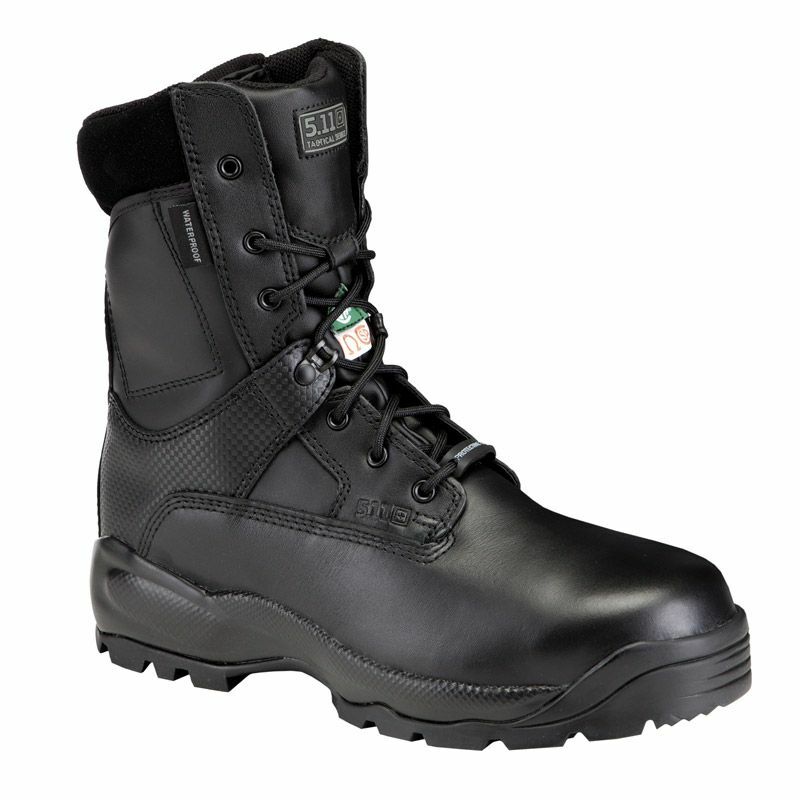 Featuring a CSA/ASTM certified composite safety toe, a puncture resistant midsole board, a waterproof/breathable blood borne pathogen resistant membrane, and an oil and slip resistant outsole, side zip functionality for easy on and off, and a moisture wicking, anti-bacterial lining, the ATAC Shield Boot keeps you mobile, secure, and comfortable at all times. Our unique 5.11 Shock Mitigation System® provides maximum maneuverability and motion control in any setting.